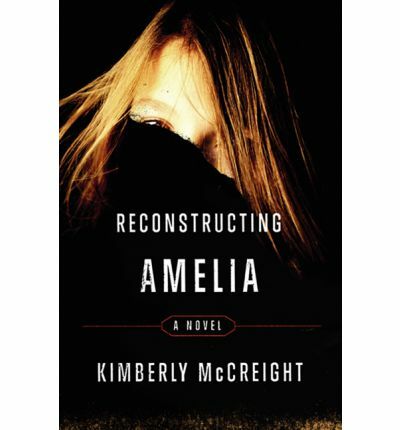 Reconstructing Amelia is a mystery thriller by new author, Kimberly McCreight. It opens with tragedy. High achiever, Amelia Baron, has thrown herself off the roof of her elite Brooklyn private school, Grace Hall, after being accused of plagiarising an assignment. Her mother, though, is convinced that Amelia did not take her own life (and didn’t cheat on the assignment). The book reconstructs what really happened up on the roof, from the alternating perspectives of both Amelia and Kate. What the book does particularly well is the use of technology. In many books, it’s almost as though computers and mobile phones barely exist. Authors are often warned not to use up-to-date technological references because it dates their work, problem is that it neglects to explore a very important aspect of contemporary human society. In Reconstructing Amelia, technology drives the narrative, there are excerpts from Amelia’s facebook newsfeed, constant text messages, and blog excerpts which contextualise the story and capture that aspect of our experience authentically. The book manages to be thrilling, despite that we already know Amelia’s tragic fate. We’re driven instead by questions: What really happened? What will drive a good kid like that to suicide? Did she even commit suicide after all? Gradually, information about Amelia’s activities is revealed such as her involvement in a secret society, her secret love for another girl, and questions over who her father is. These kinds of stories are like literary crack, the reader, desperately wanting to find out what happened, continues on, unable to put the book down. This is a good position for any writer to be in. When the reader is wrapped up in what happened, they tend to forgive unbelievable story elements. Why, for instance, does a police officer conducting a serious investigation over a girl’s death bring her mother in for interviews? Also, McCreight does not convincingly explain the motivations for a number of characters. It isn’t really clear why Amelia is bullied so mercilessly in a progressive locale like Brooklyn simply for loving another girl, there are explanations to the effect of ‘she was mean because she was mentally unhinged’ but they don’t go very far. Additionally, there are a bunch of loose narrative threads which never get resolved (I’d tell you what they are, but that would spoil the book). This is only really an issue when reflecting back on the book. The problem isn’t just satiating the reader’s curiosity, it’s also indicative that McCreight wanted to write in a series of red-herrings simply to have the reader consider a number of different alternatives, without elegantly revisiting them. This isn’t really intellectually satisfying in the way that Miss Marple or Sherlock Holmes, for instance, can be. I imagine this book will be well-liked by Jodi Picoult fans as there are a number of similarities (the slow reveal, multiple narrative perspectives, and lingering questions for readers to consider throughout the novel). If you can stand parts of it that are a little unlikely or unsatisfying, then I’d recommend this title for a quiet weekend inside. Reconstructing Amelia is published by Simon and Schuster. This entry was posted in Arts, Books and tagged book reviews, books, Kimberly McCreight, lip lit, mystery, reconstructing amelia, thriller. Bookmark the permalink.